Knowledge base - How do I upload my Products/Services? Knowledge base Answers by Topic Products & Services, Profile Completion How do I upload my Products/Services? 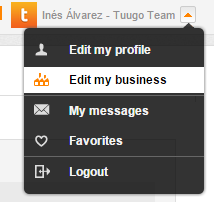 To upload the products, you must login into your Tuugo account. Hover over your username, and then click on “Edit my business”. Once there, select “Add or Edit Products”. Then you will be redirected to the "Add product" page. If you haven't added a Products menu, you will have to define it first. You will have the steps to follow to enter a new product manually. Name, description, category (remember the importance of the products menu), price, label, photo, etc. Follow all the steps and try to fill most of the data. 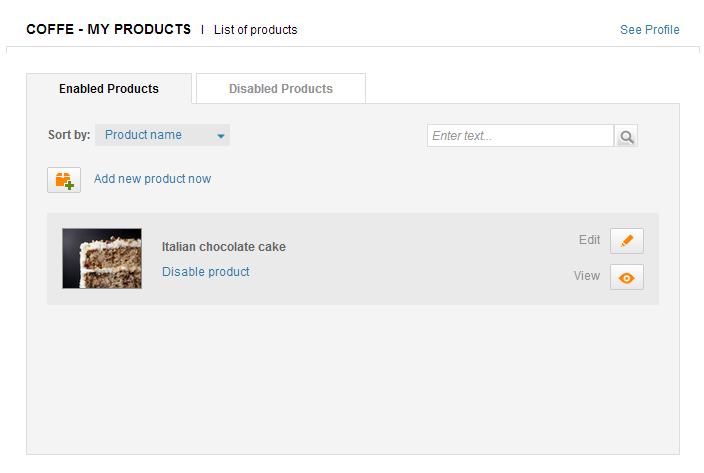 After completing the information, you can see the products, this page shows you the list of products you just started. And there you have the option to edit them or view them on your Company profile. If you want to upload products automatically, you can follow thses guidelines to upload products using an RSS feed, or these ones to use an CSV file. How to upload products on Tuugo from RSS feed? How do I edit my Products?